On February 15th, this coming Friday, for the very first time on national television, human fascia from a living body will be viewed by all that tune in, not just on any TV show, but on the #1 daytime show in the US. I am going to be on the Dr. Oz show. HOLY COW!!!! 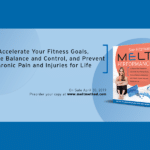 One week after the MELT Method book’s on-sale date passed (January 22nd) I was asked by the producers of Dr. Oz to appear on his show. What an amazing opportunity! I am a fan of Dr. Oz and his ambitious pursuits to get our not-so-healthy population to get motivated to take action and learn about how to live a longer life aside from just taking medications to keep us living longer. He’s interested in improving people’s quality of life by finding complementary tools, food, and methods anyone Dr. Oz and Sue can use. MELT is an ideal fit to his program. What began as a pursuit to help my clients get out of my office and back into their normal lives faster turned into a quest to help as many people as I could to get out of chronic pain. I was so inspired by my clients success using what I started calling Hands-Off Bodywork, in 2004 I started teaching these techniques in group environments. Today, I call this technique of self-care, the MELT Method. 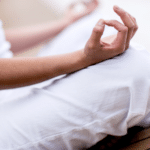 What started out as homework for my clients is now a simple self-treatment technique people can use at home, on their own, in just 10 minutes a day to get out and stay out of chronic pain. My team and I had 4 days to prepare for this segment. A rough script, media training, a minimum of 50 emails daily back and forth between the producers, my PR agents, and my writing partner Debbie and I somehow made it happen. For those of you who know me and MELT, you know the science and the researchers that have helped me develop this technique are not only complex, at times, it’s really hard for people to explain why it works so well. Now with this book, I’ve simplified the concepts so even my mom could understand and use the method at home. JCC in Manhattan 2013 book signing. The day before the show, the production crew came to the JCC in Manhattan where I incubated MELT since 2004. Then they came by my office and we did an on-camera interview. The next morning we were off to the NBC Studios in Rockefeller Center and brought into a tiny waiting room to review the show with the producer. 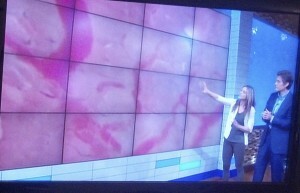 Then they took me out to meet Dr. Oz and do a run through of the segments. Sue’s Interview for Dr. Oz. We went through each of the 3 segments, figuring out where we would do each element. 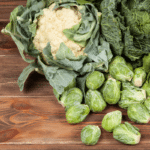 He would experience some MELTing, we would discuss some foods that help to reduce inflammation in the gut, and we would then work with someone from the audience so they could experience it as well. MELT on Dr. oz At one point he called me Suzy. I said, “Dr, Oz, if you call me Suzy on national television, I’m going to call you papa or Dr. daddy because the only people who call me Suzy are family members.” He laughed and we went on with the rehearsal. “Bye, bye papa.” I replied. As I walked out the door I could hear him giggling at the remark. Apparently, during their editing process, the producers were so thrilled Dr. Oz 3-d breath with the piece they wanted to promote the show this entire week leading up to the show. To know what was said and learn quite quickly how transformative MELT is, you and I will just have to tune in this Friday, February 15th. And just fyi, he didn’t call me Suzy.